Digital Guerilla – Sydney Web Design and Digital Marketing Experts » The Secret Of Future Social Media? Social Media Game Changer in 2012? Google+ = Business, ignore it at your peril! The Secret Of Future Social Media? Social Media Game Changer in 2012? Google+ = Business, ignore it at your peril! The most recent and most respected Social Media Marketing Industry Report published by Social Media Examiner was as ever very enlightening. However being retrospective, it fails to cast much of glance into the not too distant future, sure it tells us marketers that we will be using Facebook and YouTube more, the future is video and that those of us who are serious about developing Social Media strategies are going to spend more time looking into Social Bookmarking. This is not meant to be a criticism of what I view as a really valuable piece of info….but not one mention of Google+ at all, not even a footnote? Seems many Social Media companies are in something of a denial state about Google+ . 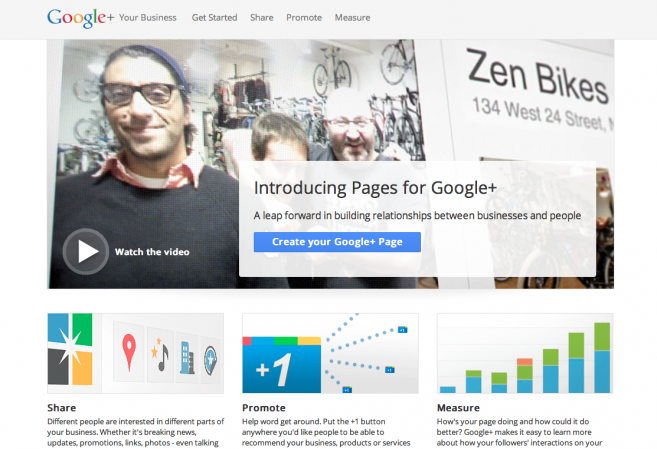 In November of 2011 Google introduced Google Plus Pages for businesses. So why should you consider a Google Plus Page, after all, you have a lot on your plate and you really weren’t counting on having to dive into another social media platform. Google is one of the most powerful companies online. They don’t own just one of the popular search destinations, they own the two most used search engines! – Google and YouTube. Can you really afford not to pay attention? Google is committed to being social. They have the analytics to show that traffic from social sites converts better. If anyone has mega-data on online consumer behavior, it’s Google. They’ve tried a few things that didn’t work – just take a look at Google Buzz. The problem with Google Buzz was that it put privacy at the risk of their users and consumers were furious. The issue with Buzz was the clash it caused in private worlds. Google quickly apologized, pulled back, and announced a settlement. They donated $8.5 million to Internet-privacy groups as a way of showing good faith. Google sends traffic. It’s still being proven but clearly there is value in Google Plus pages for the above resons. By just creating a Google+ profile you create an inbound link to the website that the page represents. Inbound links are becoming more and more important when it comes to search engine marketing. Can you really afford not to participate, knowing just those three things? Mashable recently published the following Q&A with Chris Brogan author of Google+ for Business: How Google’s Social Network Changes Everything. Google+ was unveiled in June and introduced brand pages just last month. How have you explained what the new social network changes or how it works best when it hasn’t been around for very long? It’s pretty easy to explain. Google+ posts sent to “public” rank fairly well in Google search results. You can’t get that with Facebook or Twitter these days. If almost 70% of people start their online trek to your website via search, then that’s fairly self-explanatory. Second, Facebook works on a “closed” and insular “who you know” model, whereas Google+ works on a “what you’re into” model. It’s much easier to prospect in B than A. The title of your book says that “Google’s Social Network Changes Everything.” Can you be more specific? Absolutely. I wrote about 200 pages of more specific. But for you? I’ll boil the ocean: Search is probably the biggest reason it changes everything. Second, a very wealthy company (Google) is pushing Plus to be a very powerful effort to change the way we share information on the web. They’ve spent money on commercials during many mainstream events, and they’ve changed up many of their disparate applications and processes to point harder toward Google+. They’ve really quickly moved towards building a social backplane that is a lot more functional than any other social network. What about the opportunities for brands on Google+ is different than those on Facebook or Twitter? Brands can share better than on Twitter, because the visual appeal of Google+ pages encourages more clicking. 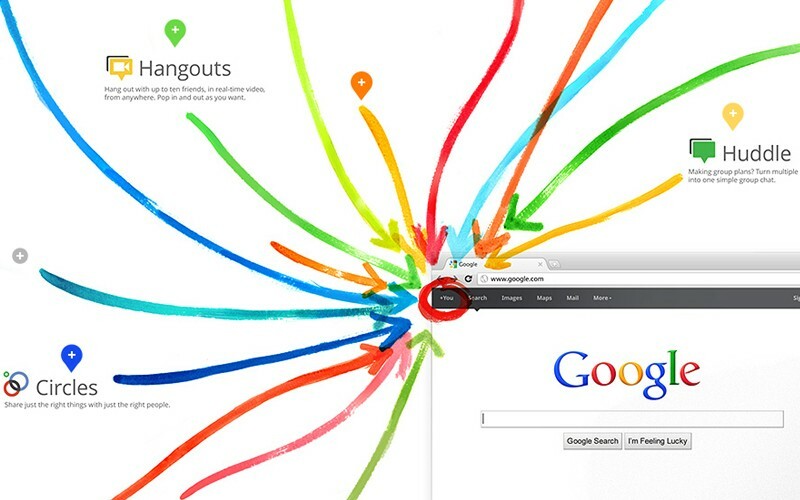 Brands can host hangouts and have deeper interaction than on Twitter. Because Google’s search features are far more robust than Facebook, the opportunity to prospect and find more potential community members is much better. Should brands approach their presence on Google+ differently than how they approach it on other social networks? And if so, how? Brands should strongly advocate the individual employees as well as the brands on Google+. There are restrictions to what a brand page can do, so the opportunity is to have really strong personal brands do some of the heavy lifting in building community. Scott Monty at Ford and Jennifer Cisney at Kodak are great examples of this. How many different brand representatives did you interview for the book? What was most surprising to you about the way they are using Google+? I spoke to a handful of people representing brands, and did a lot of research on others. Probably the first and most interesting surprise I had was how often Michael Dell, Chairman of Dell Computers, uses Hangouts to communicate with people live and in real time on the site. Beyond that, I wrote the book in early days, so the case studies were still developing. What is the most creative or effective way that you’ve seen a brand use Google+? I’m really impressed with how Intel has built specific sharing circles for the different types of content they intend to share, but if I could only choose one, I really like how The Corcoran Group showcases all kinds of interesting things around New York City. They make their page so interesting that you just have to check in quite often. Which brands do you consider to have the top Google+ pages? I like Intel, Corcoran Group, Alure Home Improvement, Red Bull, Ford, and Kodak. Google+ has a fraction of the number of users that Facebook has and is dominated by users who work in the technology sector. Do you think Google+ will ever catch up to Facebook in terms of its reach? This is one of the silliest questions people ask me. Facebook has been around for years. When Facebook first became publicly available, MySpace had a gazillion users. When AOL was at the top of its game as a community platform, there was no such thing as MySpace. Don’t worry about counting users. Google has far deeper pockets than Facebook and several dozen applications that are all useful to business. I’m not predicting that Google+ wipes out Facebook, but the comparison is silly. A few months of Google+ compared to a handful of years of Facebook is not a decent comparison.